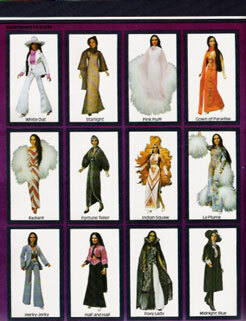 In the 1970’s Mego essentially created and perfected the celebrity based toy. 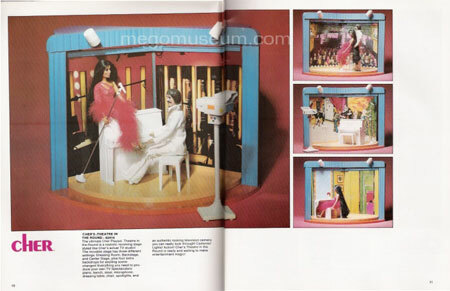 Seeking an entry into Barbie’s impenatrable pink fortress on the toy aisles Mego wisely exploited pop fascination with the divas of the day. 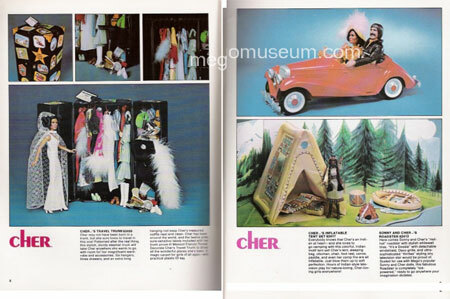 The Mego Museum has for years essentially ignored these toys outside of their impact on the larger Mego story. After all, this is a site built by boy toy fanatics for boy toy fanatics. That isn’t likely to change and there may never come a day when Cher and Farrah get the same insane treatment the Super Heroes and Star Trek receive. 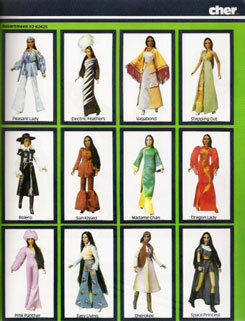 However, we are huge fans of the work the people at Mego did and these dolls embody some of the best of aspects of Mego. 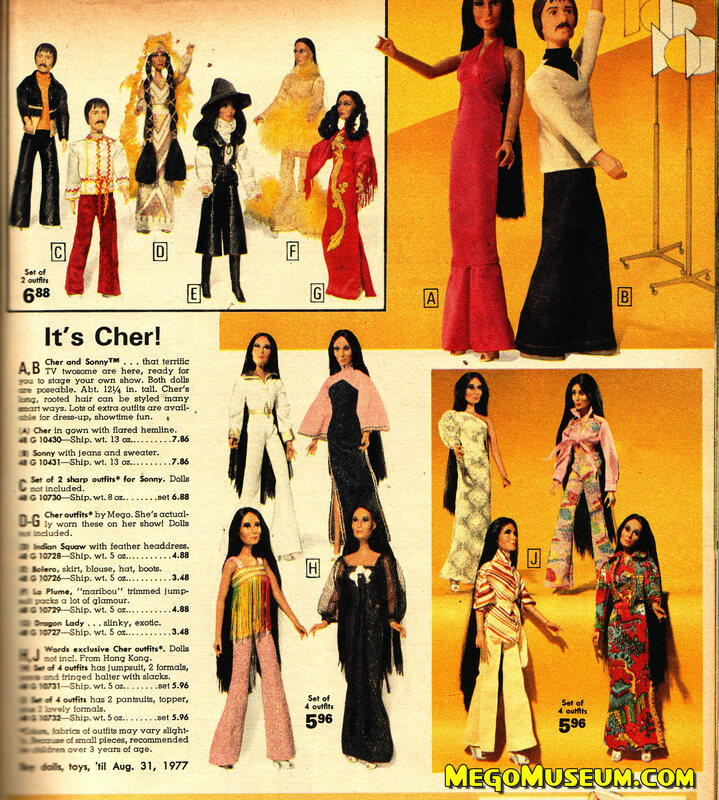 From the artfully crafted head sculpts to the brilliance of hiring Bob Mackie to design doll gowns Mego put a lot into these toys and surely made a solid profit from them. 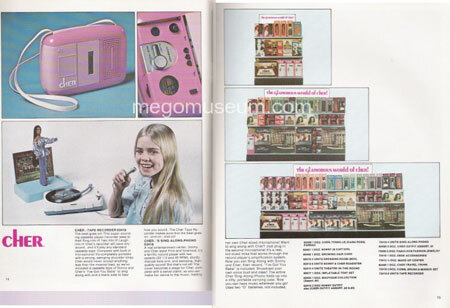 So for now, until we have much more to say about these toys, we will let the pages of Mego’s fantastic product catalogs do the talking. 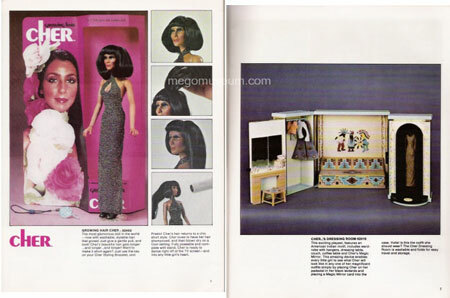 Click on the image of the toys that interest you to enter the Mego Museum Catalog Library. Enjoy.